Robert J. Etgen has been the Executive Director of ESLC since October 1990. He started his career as a Forest Ecologist for the U.S. Forest Service and also worked at times for the Maryland Department of Agriculture, the Attorney General’s Office in the Maryland Department of Natural Resources, two private law firms in Baltimore, and with the Maryland Environmental Trust where he assisted in the formation of eighteen private land trusts. 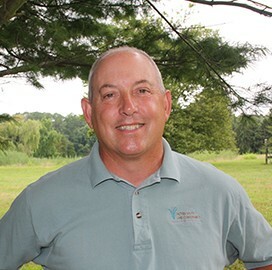 In land conservation Rob has published extensively, received numerous awards including the Chesapeake Bay “Conservationist of the Year” in 2007, and has led Eastern Shore Land Conservancy to become one of the most successful and innovative land trusts in the Country. In community service Rob has served on the founding boards of several organizations, is currently serving as Vice President of the Chesapeake Multicultural Resource Center, and has been a “Big Brother” since 1994. Rob received his Juris Doctorate from the University of Maryland and a Bachelor of Science in Forestry from West Virginia University. Rob spends his spare with his wife Suzanne and two daughters Caroline and Rose, going on adventures around the Eastern Shore. Laura Sanford joined ESLC in April 2008. Before becoming director of advancement in 2015, she was a land protection specialist for four years. Laura is an Eastern Shore native whose family has been on the Shore since the early 1600s. She completed her Master of Science in GIS Management at Salisbury University in 2015. She also has an Associates Degree in Computer Networking from Anne Arundel Community College, and a Bachelor of Science degree from Salisbury University in Biology/Botany. 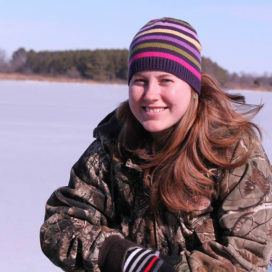 Before joining ESLC, Laura worked at the Chesapeake Bay Foundation and Adkins Arboretum. 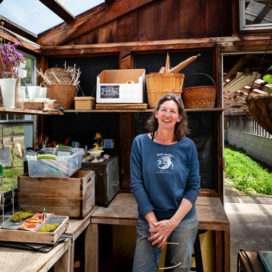 She owned an organic wholesale plant nursery (primarily native plants) and is still obsessed with plants and protecting the rural way of life on the Eastern Shore. She lives in Centreville with her husband, son, three cats, a gerbil, chickens, and dog Chance. Katie joined ESLC with more than 11 years of real estate experience in the private and public sectors, most recently serving at the Maryland Department of Transportation. She received her bachelor's degree in business administration and her master's degree in business administration from the University of Baltimore. Outside of work, Katie enjoys paddleboarding the beautiful waterways of the Eastern Shore. 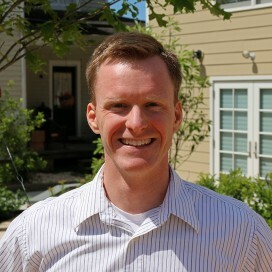 Brian Ambrette joined ESLC in 2014 to lead the Coastal Resilience Program. The program assists local governments in preparing for sea level rise, coastal hazards, and climate change impacts. 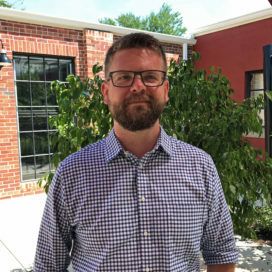 Brian also provides leadership and logistical support to the Eastern Shore Climate Adaptation Partnership, a regional climate collaborative with members from multiple local governments and more than a dozen state agencies, academic institutions, and nonprofit organizations. 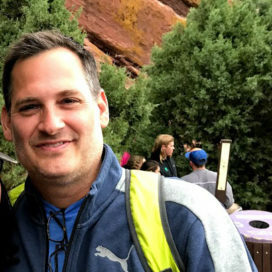 Brian previously worked with The Nature Conservancy developing conservation and planning tools for coastal resilience in Connecticut and with the Environmental Defense Fund in fundraising and donor engagement. He has also worked on traditional sailing schooners and as a coach and director at a community rowing club. He has a master’s degree from Yale University’s School of Forestry & Environmental Studies, with a focus on marine and coastal resource management and stakeholder engagement. His undergraduate degree is in physics and geology from Middlebury College in Vermont. The former U.S. 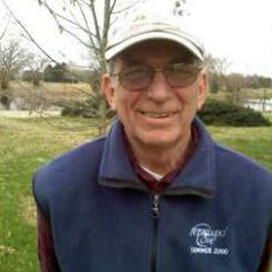 Congressman was a longtime social studies teacher at Kent Couny High School. Wayne's work at the Sassafras Environmental Education Center (SEEC) helps to promote environmental literacy across the Eastern Shore, especially in Kent County. A U.S. Marine Corps veteran, Wayne is a decorated Vietnam War veteran who received the Purple Heart, Bronze Star and Navy Commendation Medal. He lives in Kennedyville with his family and spends many hours hiking and canoeing around Turners Creek, which also is home to SEEC. As the director of communications, Dave produces ESLC's marketing/print materials, as well as all content used for social media platforms, website, and weekly e-newsletter (The ESLC Weekly). His professional background includes marketing and fundraising experience working for animal welfare and environmental conservation organizations in both Washington, D.C. and California. A native of Stony Brook, NY, he has been a resident of Easton since 2008 and holds a B.A in English Studies and Communications from West Virginia University. In his spare time Dave enjoys music & film, stand-up paddleboarding in our surrounding waterways, and spending time with his two sons. Megan is the Stewardship Manager and charged with ensuring ESLC meets it commitment to perpetually uphold the terms of each of its conservation easements held on 48,879 acres of the beautiful Eastern Shore. She loves her work and enjoys time in the field with easement landowners. Megan came to ESLC in 2009. She has a background in natural resource management and holds a Masters of Environmental Studies from the University of Pennsylvania. Megan is the recipient of the 2016 Aileen Hughes Award and a graduate of the 2016 Shore Leadership class. She lives in Easton with her partner Dan and their two little ones, Wyatt & Ben. Born and raised on the Eastern Shore, Owen Bailey earned a B.A. in American Studies and an M.A. in English from Washington College. Before joining ESLC, Owen worked at the Rose O’Neill Literary House at Washington College for almost seven years where he assisted in event planning. He serves on the Board for both the Colchester Farm CSA and Friends of the Kent County Public Library. Owen was the Chair of the Chestertown Book Festival from 2012-2016. He spends his free time writing, hiking, and kayaking. A native of Virginia, Julia has spent the majority of the past 30 years living in Maryland since receiving her B.S. in Psychology from Virginia Tech. 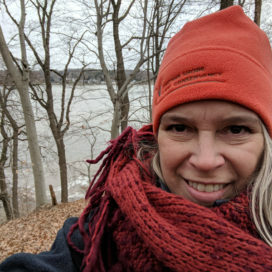 In addition to her recent work at the Shore Update community paper, she has worked as an environmental educator and operations manager at the Chesapeake Bay Foundation, was the executive director of MACMA, and a program coordinator at The Gunston School. 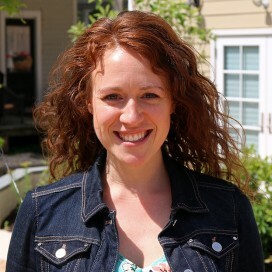 She joined ESLC in the fall of 2017 as the outreach and engagement manager to help promote the mission, understanding, and relevance of ESLC’s vision by engaging with the people and organizations most affected by a rural landscape and vibrant towns. Julia currently lives in Centreville with her husband, three children, two dogs, one cat, and two chickens. She enjoys singing, hiking, being on, in, and around the water, and keeping up with the constant chaos of her family. Theresa joined the ESLC team in July 2016 as the Finance and HR Coordinator. Theresa, a Sussex County, Delaware native, earned her associates degree in Accounting and went on to complete her B.S. in Business with a Concentration in Accounting. She has worked in Human Resources and Finance for many years. After spending 15 years in banking, she took on the work of human resources for various companies such as overhead/underground utilities, and long term health care facilities. She also worked in the Delaware court system for a short time. Theresa lives in Bridgeville, DE where she enjoys entertaining, gardening, listening to 80’s hair bands (favorites include Def Leppard and Bon Jovi), and driving fast cars. A Virginia native, Jennifer graduated from Virginia Tech in 2012 with a B.S. in Natural Resources Conservation & Recreation Management and a minor in Forestry. 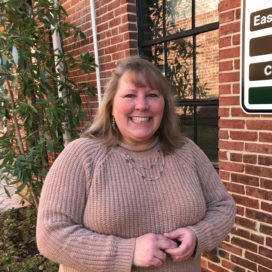 Jennifer completed an internship with the U.S. Forest Service and after graduation worked with Ecobeco to provide residents across the state of Maryland with energy efficiency education. Through this position, she found the Eastern Shore and has been a resident of Cecil County since 2014. Jennifer has since completed a Volunteer Maryland Americorps Service Year gaining valuable program management experience at a local non-profit homeless shelter, Deep Roots. 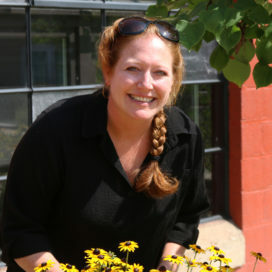 Joining Eastern Shore Land Conservancy in September 2017 as the Education Program Manager of the Sassafras Environmental Education Center has allowed her to continue working with other local non-profits by providing environmental education not only to local school groups, but to disadvantaged and minority groups in the surrounding area. While a typical day at work may involve canoeing, fishing, hiking, or gardening Jennifer also enjoys spending time outdoors with her family and pets, painting, backyard birding, and visiting the Blue Ridge Mountains. Lauren joined ESLC in spring of 2018. She grew up on the Western Shore of MD, but came to Washington College as a freshman and never wanted to leave the Shore. 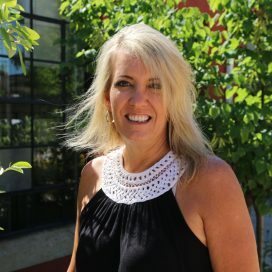 Lauren received her BA in Business Administration from Washington College in 1987. She has more than 20 years of fundraising experience with Washington College and Chesapeake College. She has also used those skills as a volunteer with Easton Little League, her sorority (Zeta Tau Alpha), and at her children’s schools. Additionally, Lauren has worked as a Special Assistant to Maryland Comptroller Peter Franchot – a perk of that job was traveling with the Comptroller and getting to see the beauty of our wonderful state. She lives in Easton, has three grown children, and enjoys reading, needlework, walking and spending time with her family. Fun Fact: She hosted a Muscular Dystrophy carnival in her backyard when she was about 10 years old, raising $80. She started her career as a fundraiser early! 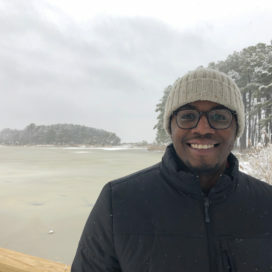 Darius joined the ESLC in September 2018 to manage adaptive reuse and community projects focused on building vibrant Eastern Shore towns. Graduating from Washington College in 2015 as a Vincent Hynson Scholar with a B.A. in Business Management, Darius has further developed his interests and skills in the areas of Workforce Development, Fundraising, Program Management, Data Analytics, Education and Project Management. Prior to joining the ESLC, Darius has spent several years working for organizations such as Prometric, Johns Hopkins Neurology, and most recently, the Maryland Center for Construction Education & Innovation. He also spends time supporting his father’s concrete masonry business based out of Worton, MD. 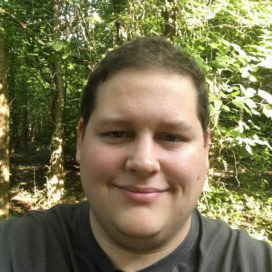 An Eastern Shore native, Darius enjoys learning about the history that is deeply rooted in its communities while spending time kayaking its waterways, or hiking its trails. Darius currently lives in Grasonville, MD with his partner Arden and their dog, Izzy. He still pours concrete every now and then, too! 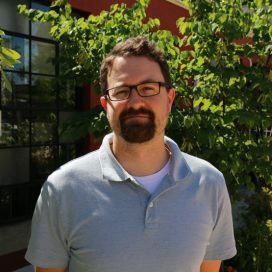 Jim joined the ESLC team in June of 2018. As the Coastal Resilience Specialist, he assists local and state government partners in planning for the impacts of climate and sea level change. Jim studied Environmental and Emergency Management at the University of Delaware, and prior to ESLC he worked for nearly ten years in local government emergency management. At work, Jim is most passionate about hazard mitigation and building a resilient community through creative partnerships. Out of the office you can find Jim hiking with his wife and daughter or playing music in the back yard. David joined ESLC in January 2018 after a stint as ESLC’s Stewardship Intern in 2016 and Stewardship Contractor in the Fall 2017. An Eastern Shore native, David grew up on a farm in southern Caroline County. As a child he developed a love and respect for wildlife through hunting and fishing with his family. In 2011, David turned his respect for wildlife into a Bachelor’s degree in Biology from Towson University. When not working he enjoys spending time with his dog, Duke, gaming with friends, cooking, reading books, and birding. 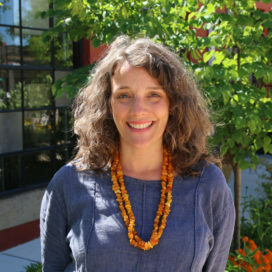 Carol joined ESLC after more than a decade working in the local food movement. She is passionate about how food creates community and believes that supporting working landscapes is one of the best – and most delicious - ways to preserve rural areas. As our agricultural specialist, she works to advance economic opportunities in food and farming related industries. Carol attended Sarah Lawrence College in New York and graduated from Occidental College with a degree in Public Policy. She moved to the Chesapeake Bay upon return from an extended stay in South East Asia doing development work. She and her waterman husband own Know Good Farm in Witman, MD where they marry two iconic Chesapeake industries, farming and fishing.